Following a successful premiere run in Melbourne, come and experience this hilarious, heartwarming Aussie comedy brought to you by a troupe of stand up comedians, professional actors and wannabe dancers. After naively following his heart to the small country town of Shilungatta, pathetic romantic Dennis finds himself in a state of disillusion when the girl of his dreams breaks up with him out of the blue. What follows is a messy one night stand with the mysterious and unpredictable Zoe, throwing Dennis' sheltered world into a chaotic head spin. Featuring a live band, crazy physical comedy and a show-stopping car chase 'HIGHLY FLAMMABLE LOVE' is a unique, dark, romantic comedy set against the backdrop of a vengeful bushfire. Adelaide boy Marcus met Melbourne coffee snob Zara while studying at film school in 2014. This is where they discovered their shared love for comedy, Aussie storytelling and Thai food. 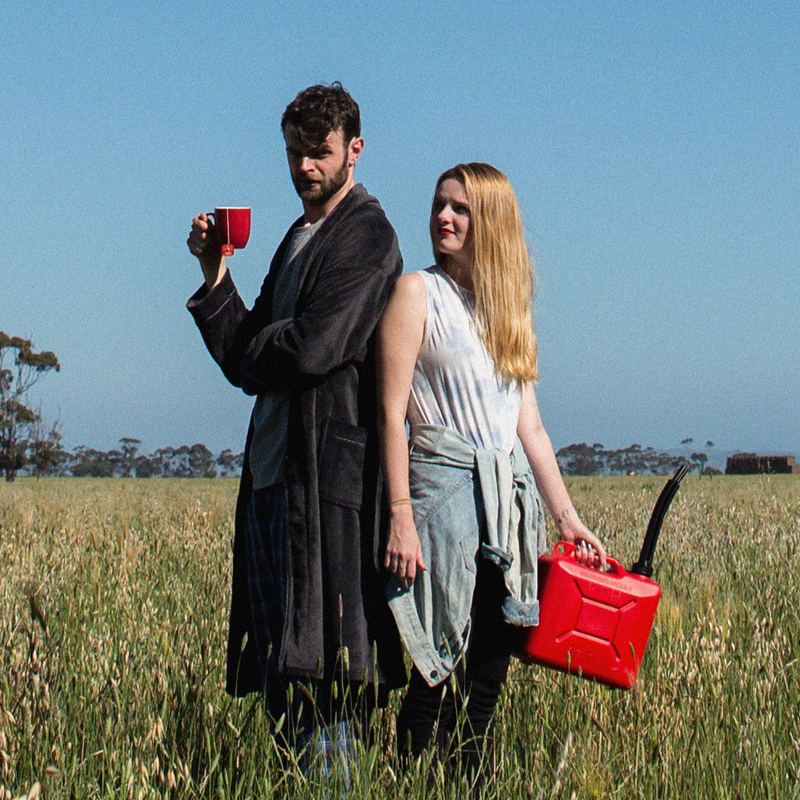 Since graduating and starting their careers working on various Australian TV productions, the two friends have spent twelve months co-creating this fire-fuelled passion project and are excited to bring it to Marcus’ hometown. The two are joined by an incredible team including outrageously talented lead actress Ayesha Gibson and 2016 Adelaide comedian of the year Kel Balnaves.